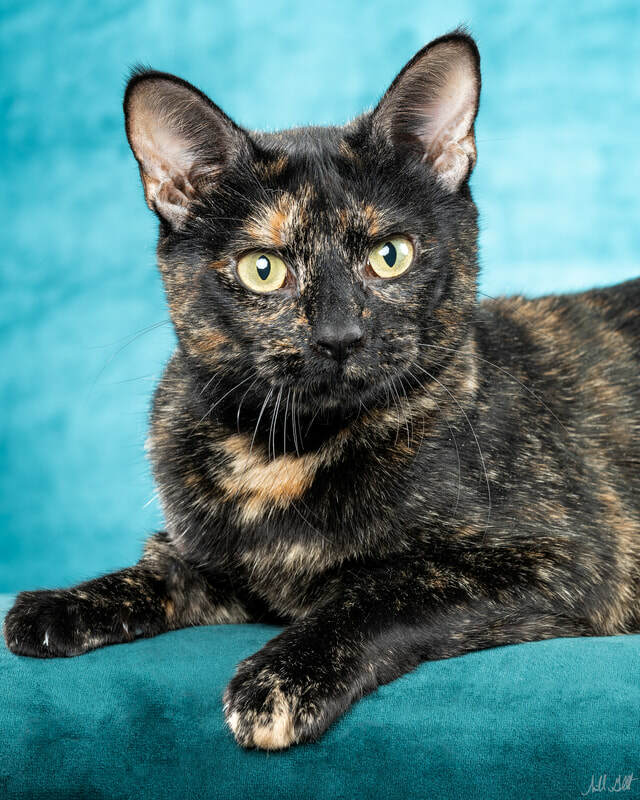 Molly is a sleek and good natured mama who has had eleven kittens just this year. Seeing as she's not even two yet, that's a bit extreme! Luckily, her kittens are pretty much weaned, so she'll be getting spayed soon...and then her days of being a walking food truck will be behind her. Molly loves attention, although she isn't jealous of her kittens stealing the show. Still young, she loves to play, both with her family, and with the humans who are fostering them. She likes to play pouncing games with the blankets, and can be pretty hilarious company. If you need a magical mama to light up your life, Molly is the one for you!